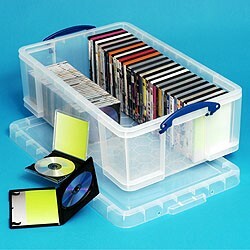 Great value for money, very sturdy, and useful for a variety of storage solutions. Very sturdy and big! I have 6 of them that I use for storage and they are great. You can stack them, which is very convenient. 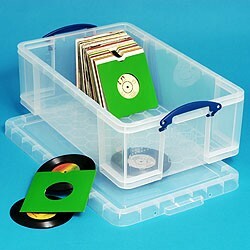 A fantastic storage solution! Sturdy, secure and really well made. 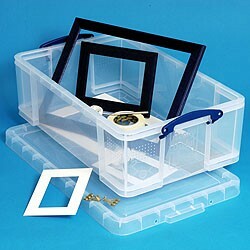 You can't beat these boxes for versatility, strength and design! Yes, I recommend this product! 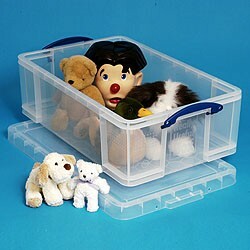 Perfect storage box. 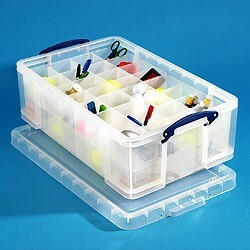 The handles clip onto the lid to ensure the contents are secured, and they are stackable. Various sizes, so there's bound to be one to suit. And B&Q have them at decent prices too!